My Favorite Sites - Black Star Leather - re-enactment & contemporary handmade leather items. Commissions welcome! - The medieval society we belong to,a medieval re-enactment society covering the Historical period of 1240 to 1350 and it is our primary goal to provide accurate combat displays as well as a glimpse into the life of a medieval household. We operate from Whittington castle, a castle steeped in Myth and Legend and is believed to be the only castle in the UK that is community run. The Makers is a showcase for members of the Heritage Crafts Association (HCA). It brings you the best handmade items from across the UK. To purchase direct from The Makers, you can click through to individual craft websites. The Heritage Crafts Association (HCA) is the advocacy body for traditional heritage crafts. Working in partnership with Government and key agencies, it provides a focus for craftspeople, groups, societies and guilds, as well as individuals who care about the loss of traditional crafts skills, and works towards a healthy and sustainable framework for the future. 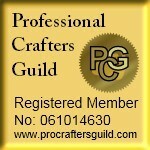 Established in July 2011 to help Professional Crafters to show they mean Business! Encourage its members and raise awareness of the beautiful handmade crafts which are available from people who have a passion for crafting. Reflect the diversity of crafting and keep this skill very much alive in contemporary society. Provide a directory of crafters so that they can find each other and be found by the general public. Welcome to Arachnes’ Lair, a market of fantasy and gothic designs. Please come and browse our galleries for the full list of wares. An exciting selection of pet supplies for small pets, as well as wild life, selected from international companies plus a mix of exclusive and exceptional high-grade items. So if you're looking pet supplies for small pets or garden wild life, we have plenty to inspire you. We understand that great products do not always have to cost too much. That's why we have selected a range of pet supplies for you that has the right balance between function, quality and price - you know you're getting great value for money.